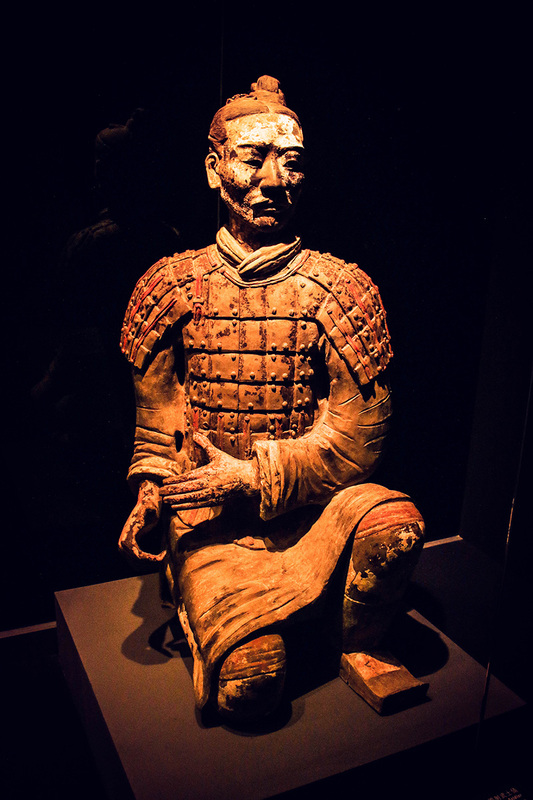 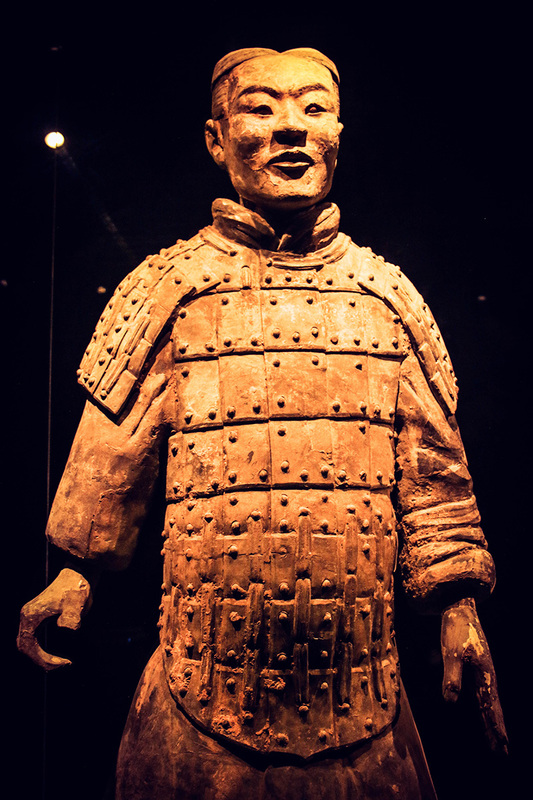 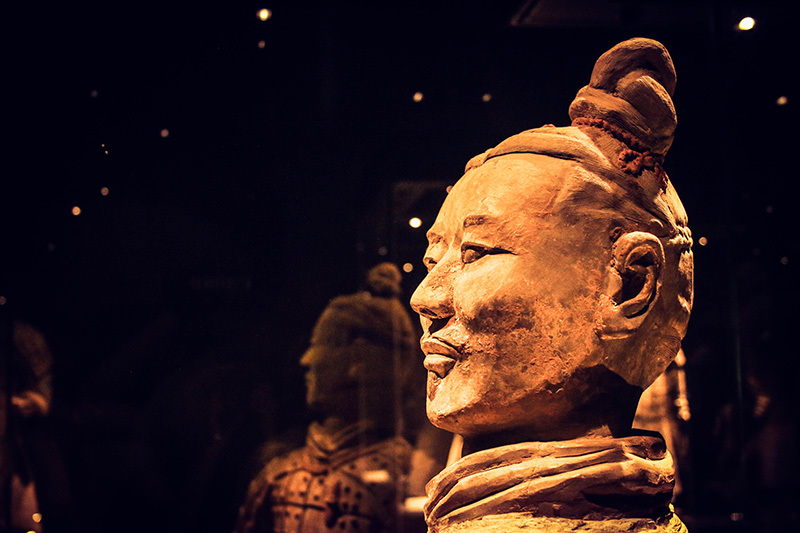 I’m not sure what is most impressive about the Terracotta Warriors; the fact that this art work was created in 209 BCE, the epic scale of the army sculpted to protect Emporor Qin Shi Huang, or the incredible detail and individuality of each soldier. 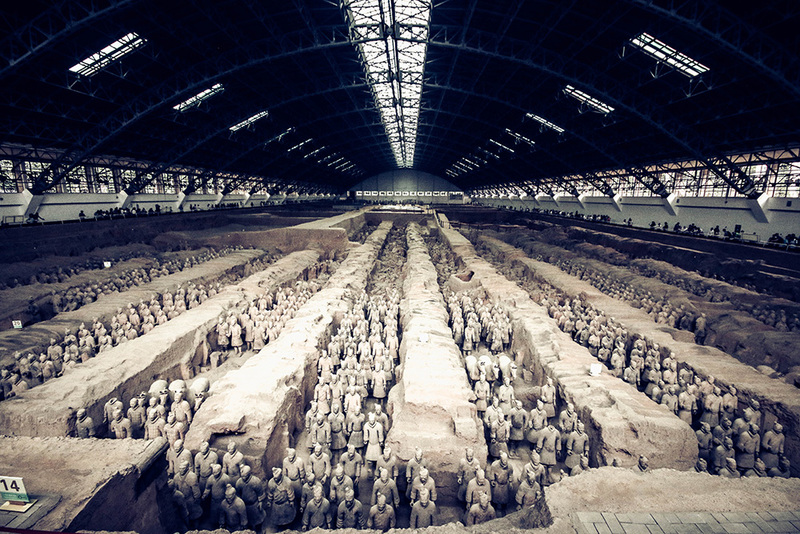 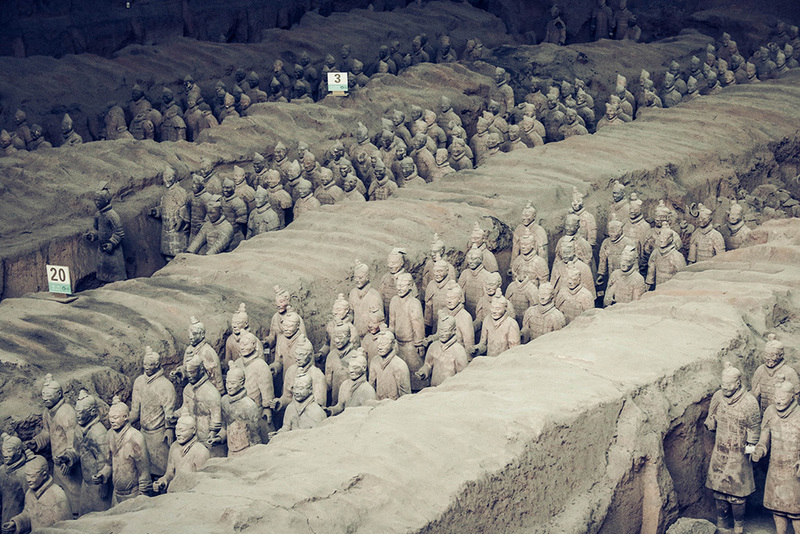 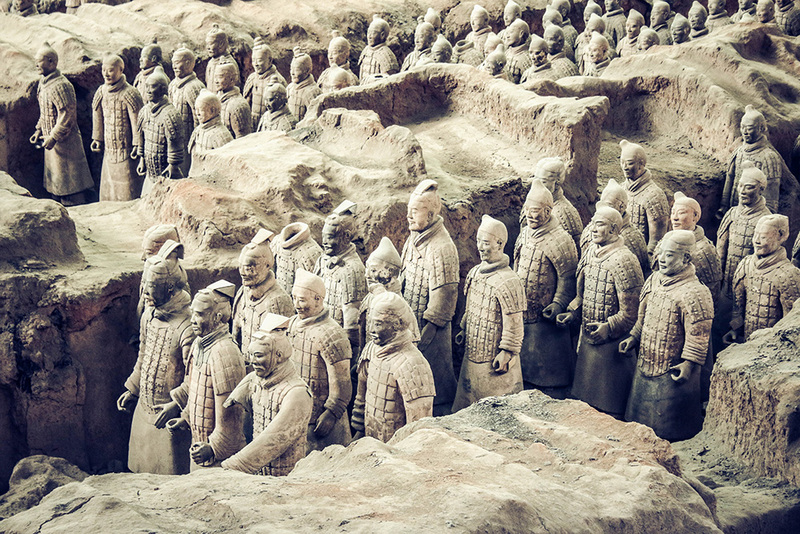 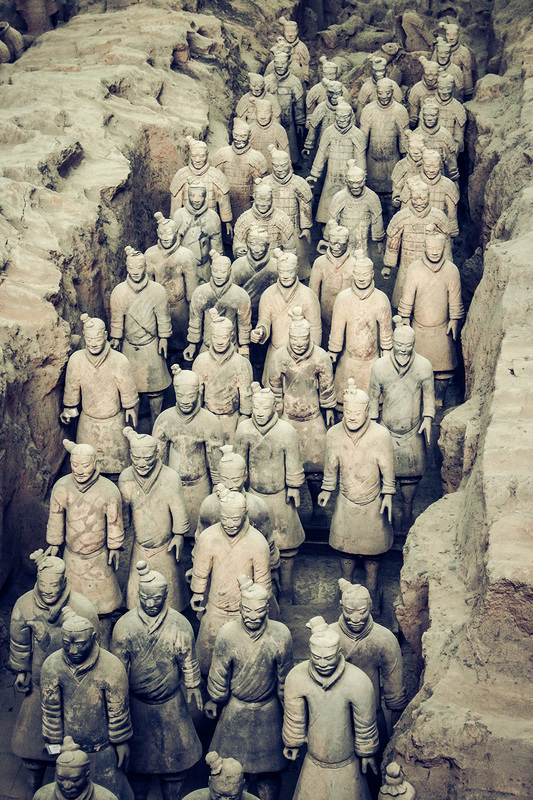 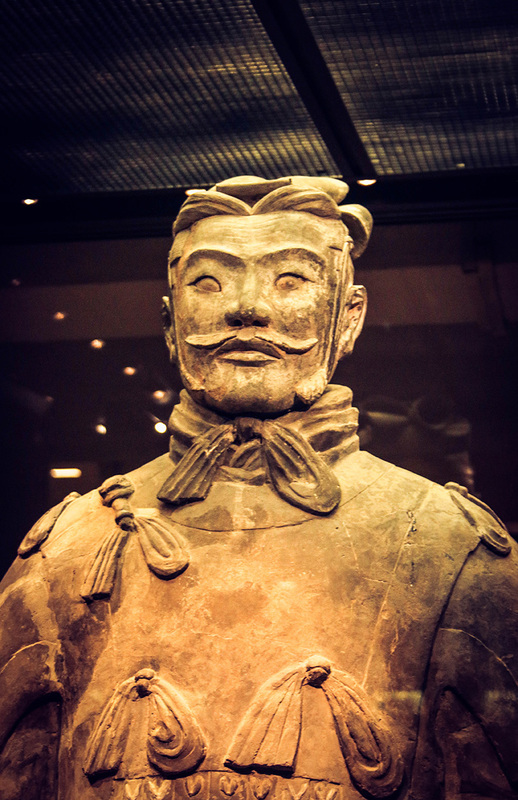 The army was discovered in 1974 when a farmer drilled a well and found terracotta pieces. 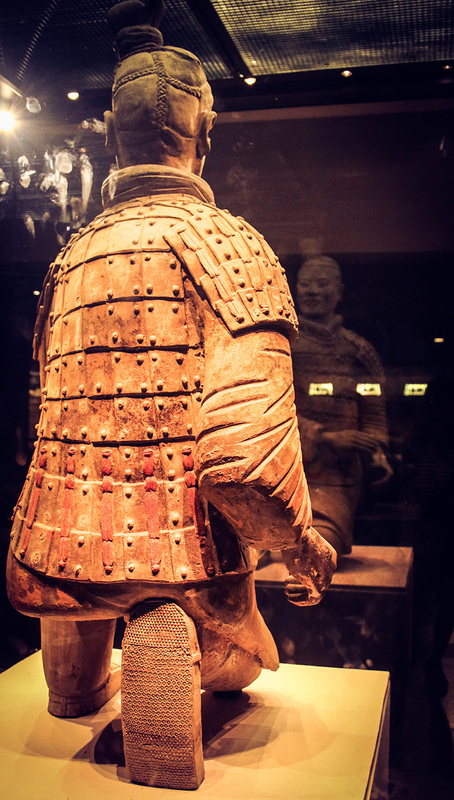 The excavation pits and exhibition of selected restored warriors have been open to the public since the 80s and the restoration techniques and preservation technology are impressive. 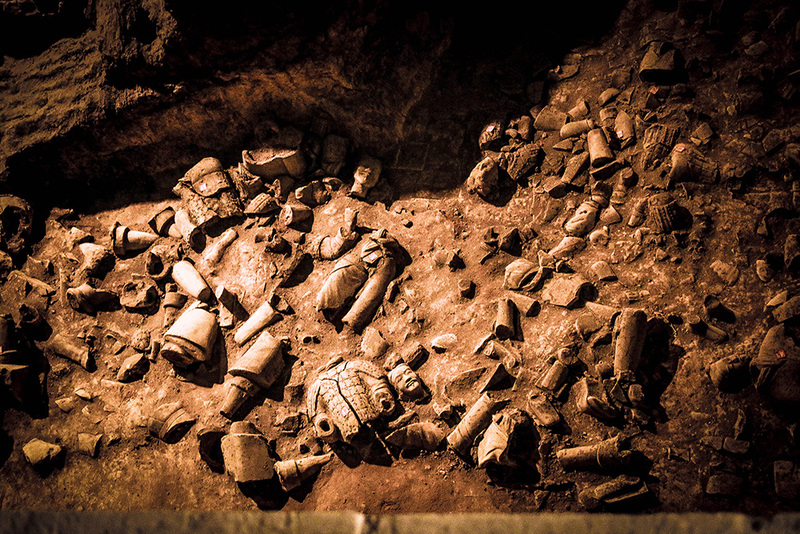 The main photo shows pit 1, the most famous of the three pits open to the public. 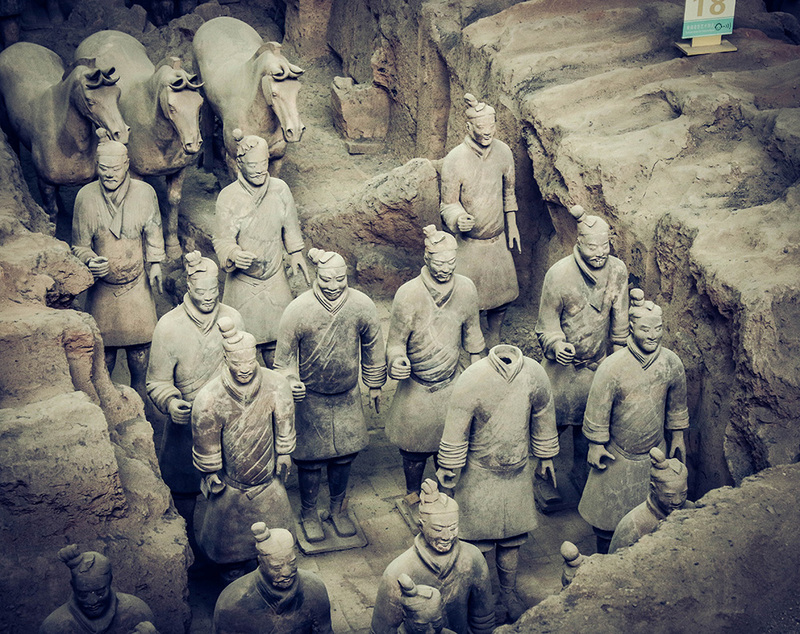 As you scroll down, I have included a photo from pit 2, which shows how destroyed many of the terracotta warriors were when they were uncovered by archaeologists. 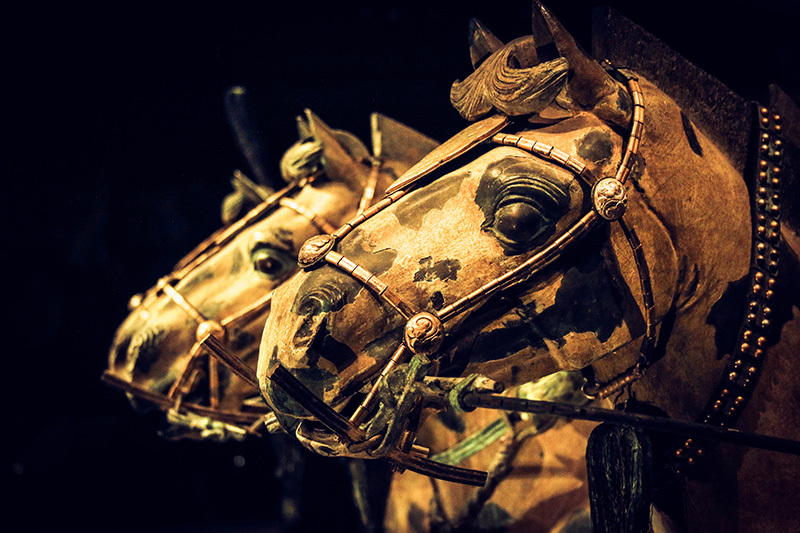 To restore them, each piece was collected, cleaned and then put together like a puzzle. 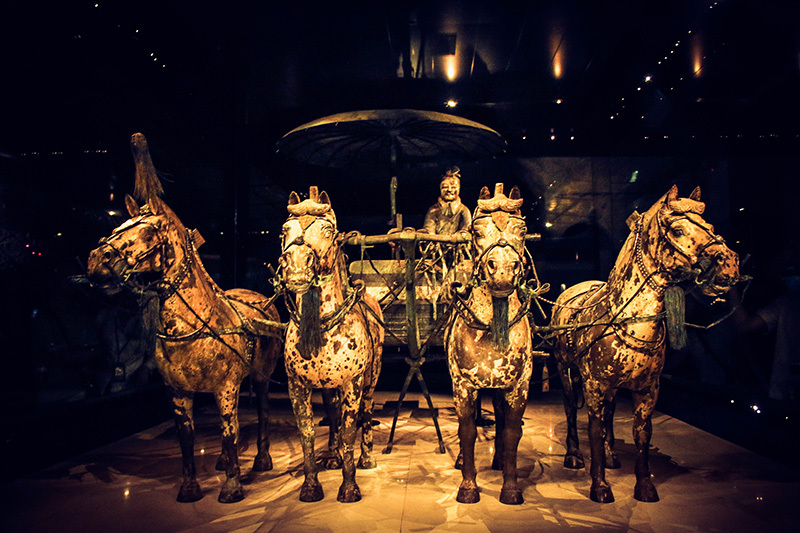 Also included here are two bronze chariots, which were carefully restored after being found broken inside a wooden case. 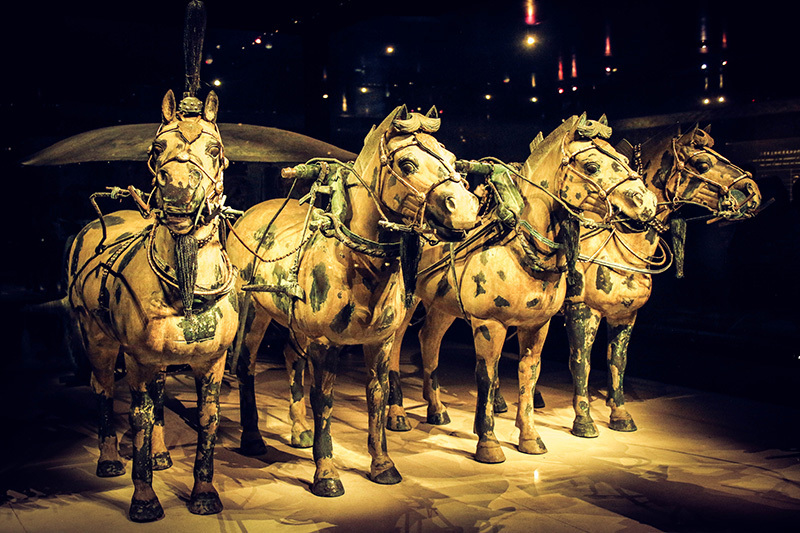 They are only about half the size of actually horses and chariots, and contain over 3,000 pieces, including fully functional wheels, axles and hinges.